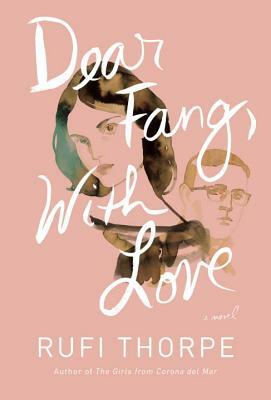 Dear Fang, With Love, is, in some ways, a novel about the Holocaust: Lucas and his seventeen-year-old daughter, Vera, are spending the summer in Lithuania to trace Lucas' family's Jewish heritage leading up to and through World War II. It is also, in many ways, a novel about fathers and daughters: Vera was born when Lucas was only 17 years old, and Lucas has been removed from her life until recently. It is also a novel about mental illness: Vera suffers a psychotic break at a high school party and is diagnosed as bipolar. It is also a novel about love and relationships: Lucas may still be in love with Vera's mother, his high school sweetheart--or he may just be incapable of commitments. Judith, an aging novelist on their Lithuanian tour, is struggling to operate as a single woman after losing her husband of many decades. Susan, also touring with them, wants to be seen as a woman and not as a caretaker. Vera is in love with her own high school sweetheart, an awkward, charming, religious young man named Fang who exists mostly as the recipient of Vera's letters throughout the novel. It is about growing up: Vera on the brink between childhood and adulthood, Lucas living as a child in an adult body. It is about travel and history: Lithuania comes to life under Rufi Thorpe's pen, building a sense of place steeped in tradition and mythology and dark moments of history. It is about confessions: Vera confesses to Fang in letters and emails; Fang confesses to Lucas; Lucas confesses to Susan; Susan confesses to no one; Judith confesses to Vera; and so on and so on and so on. It is about being there for each other in big moments (Very's psychotic break) and small ones (Judith being unable to unlock her apartment door without assistance); when it is easy (sharing dinner in a foreign country, laughing over strange foods) and when it is hard (making the right decisions for your daughter, even when those decisions mean she may not like you for a little bit). It is about how we see the world around us. It is powerful, it is beautiful, it is not to be missed.